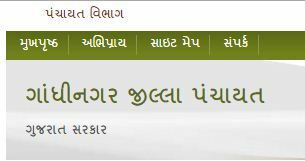 The Gandhinagar Jillafer badli Seniority List for Std 6 to 8 available on official website gandhinagardp.gujarat.gov.in. If there is any problem, submit it with evidence in 10 days. Aravalli distrct EK tarafi sinyority ferbaldi nj araji ni yadi mukasho. Gandhinagar jilla fer badli list bhasha teachers (6.to 8)ni yadi muksho ji?? ?